Moremi Game Reserve is an untouched safari paradise. Welcome to the oldest protected section of the Okavango Delta in Botswana. A 100 years after explorer David Livingstone called this land ‘country full of rivers’, the environment and wildlife in the Moremi area were under threat. 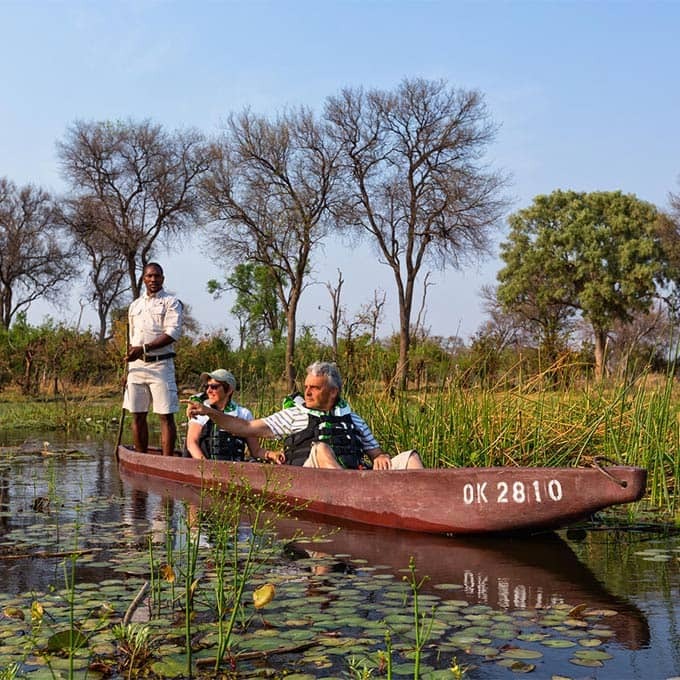 It is because of the bold, local Batawana people that this area was proclaimed Moremi Game Reserve in 1963, making Moremi the oldest and first protected reserve of the Okavango Delta. As a sign of gratitude, the reserve is named after Batawana tribe members, Chief Moremi III and his wife. Now, the Moremi Game Reserve is one of the most diverse reserves with surprises everywhere, even for the most seasoned Africa-travelers. Chances are you have plenty of questions; what is the best time to travel to the Moremi? What should I pack? No worries, get ready to discover more in the sections below. Please use our contact form below for more questions you might have. A striking number of wildlife species, birdlife and a diverse landscape; combining mopane woodland, floodplains, fairytale like lagoons, papyrus rivers and acacia forests. There is no other place in Africa where so many ecosystems seamlessly coalesce. Waiting for that special offer, one that seems tailor-made for you? 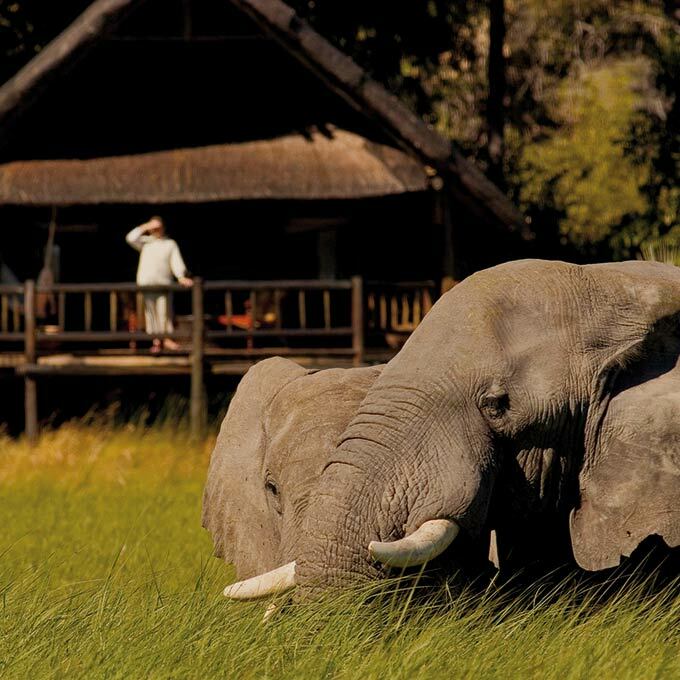 Many Moremi lodges offer discounted rates when staying for three nights or more. Our Moremi deals offer outstanding value for money, so we hope to see you soon in beautiful Botswana! Wherever you want to go to the Okavango Delta or Moremi Game Reserve, it all starts in Maun: a small but bustling town and the capital of the Kalahari. A range of domestic flights connections is available as well as flights from South Africa. Watching the sunrise from the deck of one's room and listening to the call of the African Fish Eagles makes this a paradise to any wildlife photographer. Absolute dream vacation. Took our then 12 and 14 year old daughters, who cried when we left. The people, the service, the food, the view, the safaris.... If you every get the opportunity GO!! Our guide OD was wonderful and willingly shared his vast knowledge and insight of the animals. We were incredibly lucky to see the packs of wild dogs three days running. At one of Africa’s most unique locations, you will find the most heart warming hospitality, the fluffiest towels, yummiest homemade muffins and unforgettable views from your own deck. 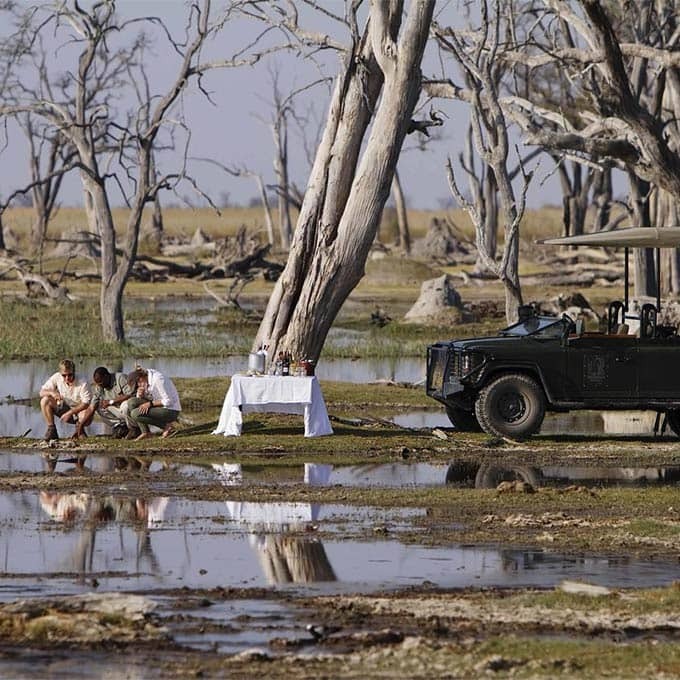 Let us help you find the best safari home in the Moremi Game Reserve. 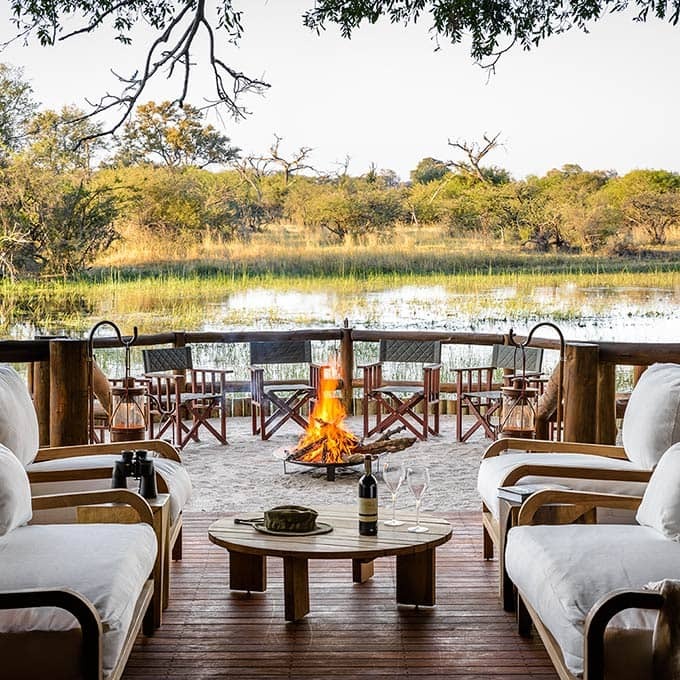 All lodges in the Moremi are intimate, personal and provide the ultimate atmosphere to truly recline and reconnect with nature. At this luxury lodge, you will find a relaxed home away from home. Elevated on wooden platforms, the panoramic views from your hammock will also make you forever raise your standards for the next African safari. 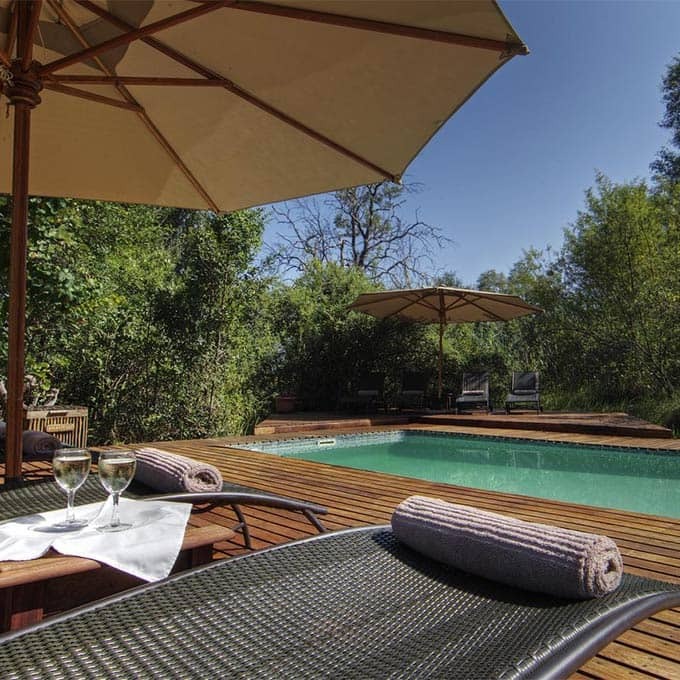 This Moremi lodge has an ﻿almost healing effect on its guests. Fine food and wines, a stunning spa, and excellent game viewing: it’s no wonder that Chief’s Camp is frequently rated one of the top Moremi camps. 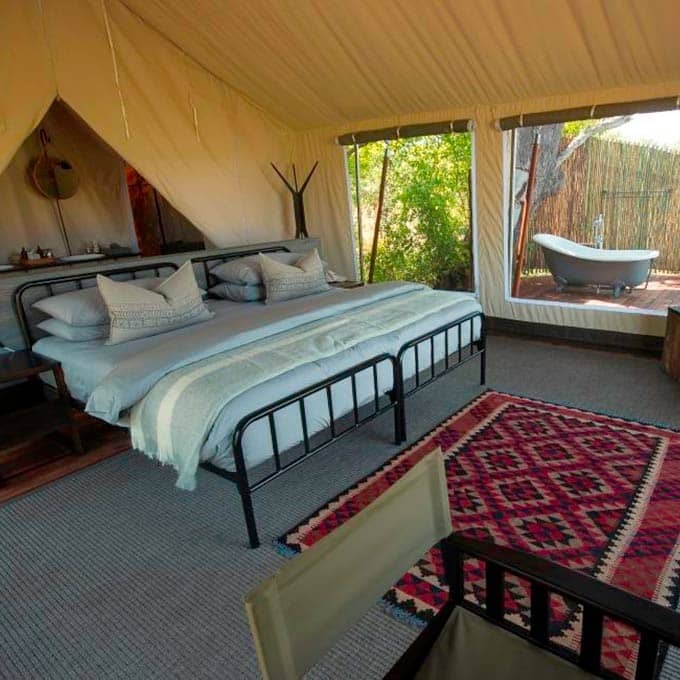 Little Machaba is built in a classic 1950s style, with luxury safari tents, en-suite bathrooms and living areas, not forgetting romantic outdoor showers. 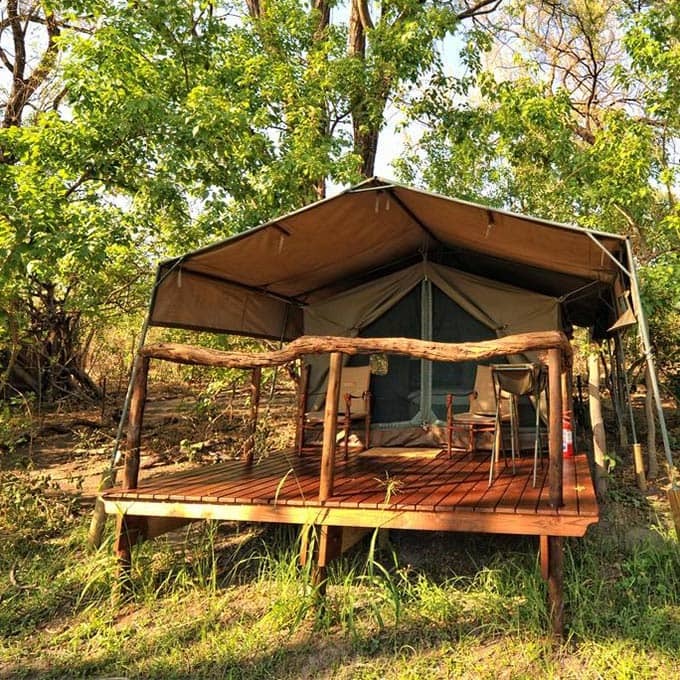 All tents are situated on decks between the large riverine trees. Are you seeking a classic, diverse safari experience? 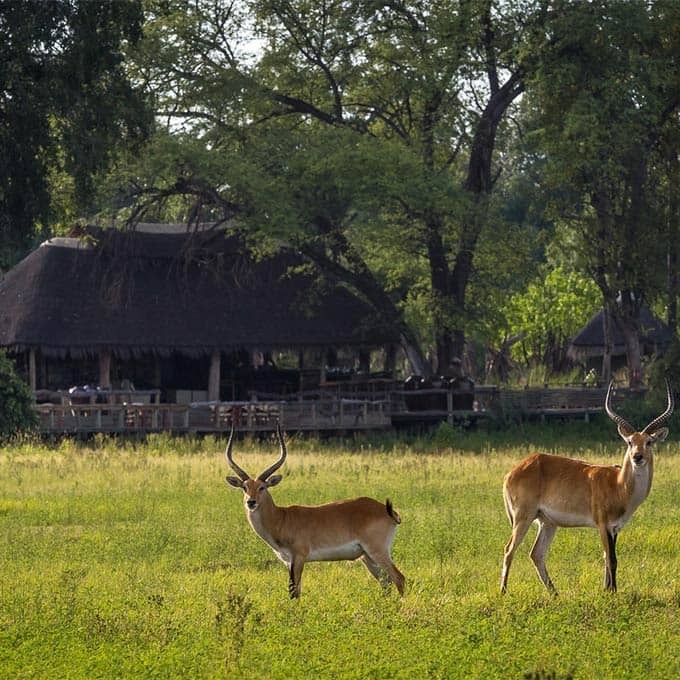 Camp Moremi is located in an area with vast variations in landscape, attracting abundant wildlife – big game, elegant antelopes, majestic birds; discover it all at this warm-hearted camp. A bright, fiery sun slowly sinks into the horizon and the sky colours pink. You take a sip of your drink and slowly realise what a magnificent place this is: welcome to Camp Xakanaxa – a truly classic spot in Botwana's untouched Moremi Game Reserve. Have you always been curious about the Africa of past times? Where people found themselves in sync with their surroundings, and the world just seemed to be so… well, simple? Venture out to this camp, and you will experience a rustic harmony. Camp Okuti is modern and elegant; its design inspired by the rich Maunachira river that flows alongside the camp. Immerse yourself in a rustic safari experience - with luxury frills like a great morning coffee served on your private deck. 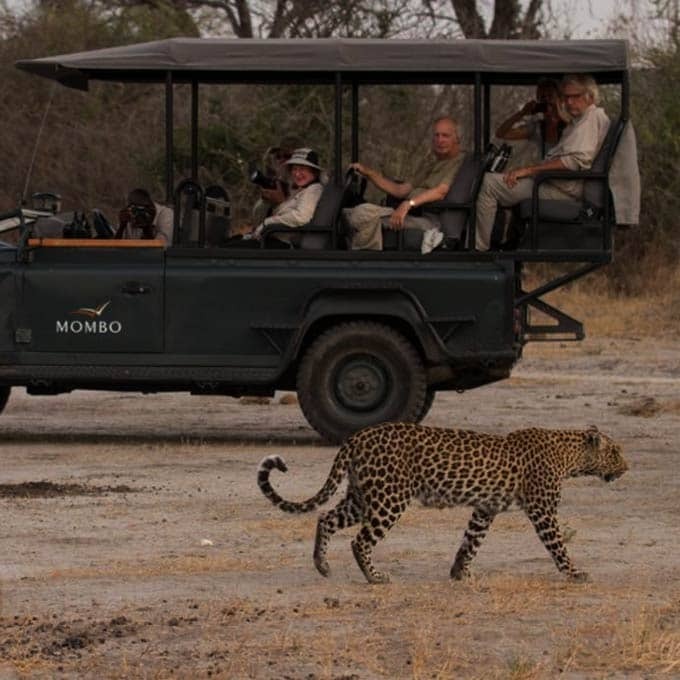 A luxurious camp - but without overdoing it -, a staff that offers the warmest possible hospitality, and last but not least: enormous concentrations of wildlife, where viewing begins right on your own deck - this is Mombo Camp. A stunning location, right on the Khwai river: this independently owned camp is the perfect family destination. 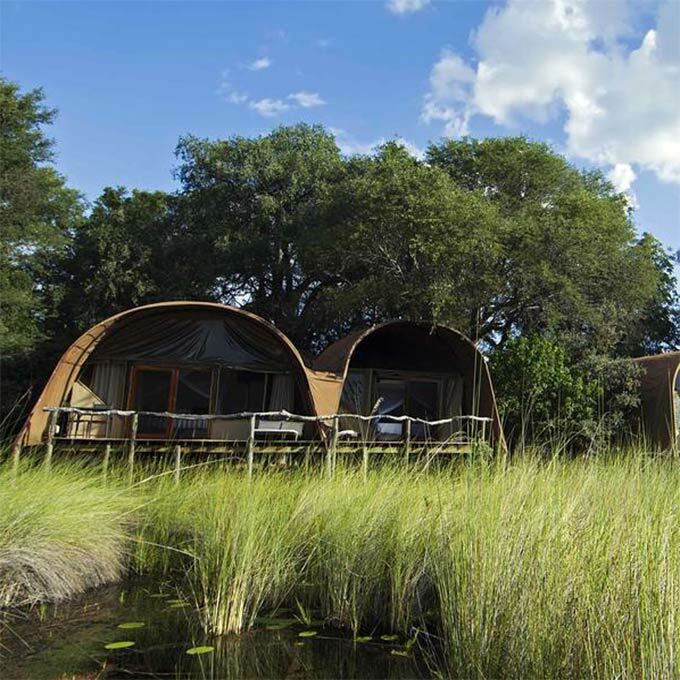 Dense wildlife, classic safari tents, and timeless hospitality – welcome to Machaba Camp in Moremi Game Reserve. 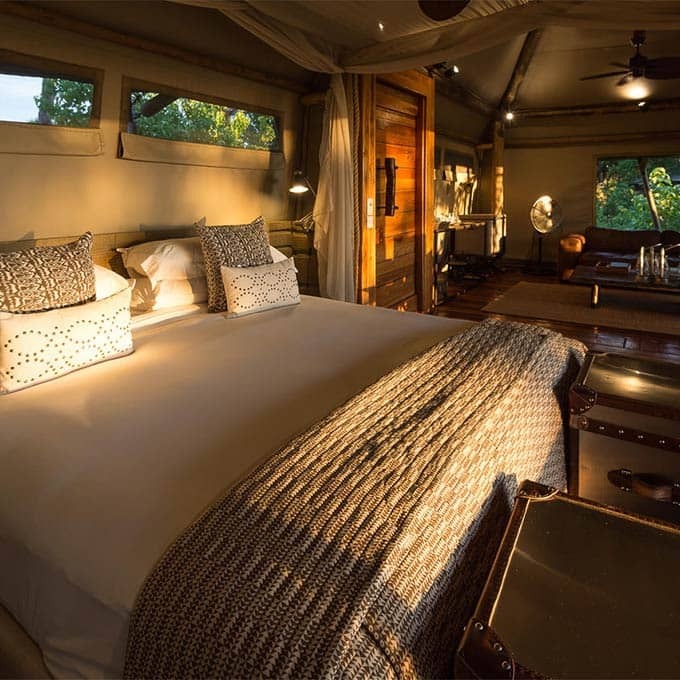 With strong connections to all-time favourites, Mombo Camp and Little Mombo, this camp reflects the same luxury and Botswana roots. The spirit of safari pioneers radiates through the tented camp, accompanied by African hospitality and great wildlife viewing. Protected by trees and on the banks of the Khwai River is Sango Camp, partly owned by local inhabitants of the area. A place where you will feel at home, from the minute you are welcomed with local songs – and this camp has some notably good singers, too. Cheetahs, lions, wild dogs – get ready for some spectacular sightings at this predator haven. And soon after arrival, you will realise that not just the game viewing is spectacular at this little gem. Kick back, relax, and immerse yourself in some soulful Moremi living. Straight off the small plane, straight into a jeep and within minutes we were seeing 3 different animals. WOW! The camp works hard to minimise its environmental footprint and when staying at Khwai you feel like you are nature's guest and not intruding. The tents are spacious, clean and the beds super comfy. The camp is beautifully appointed and maintained and the food was excellent, whether served in the dining room or outside under the shade of the huge trees. The best way of getting an idea what the Moremi Game Reserve is about is by seeing some incredible footage from the area. 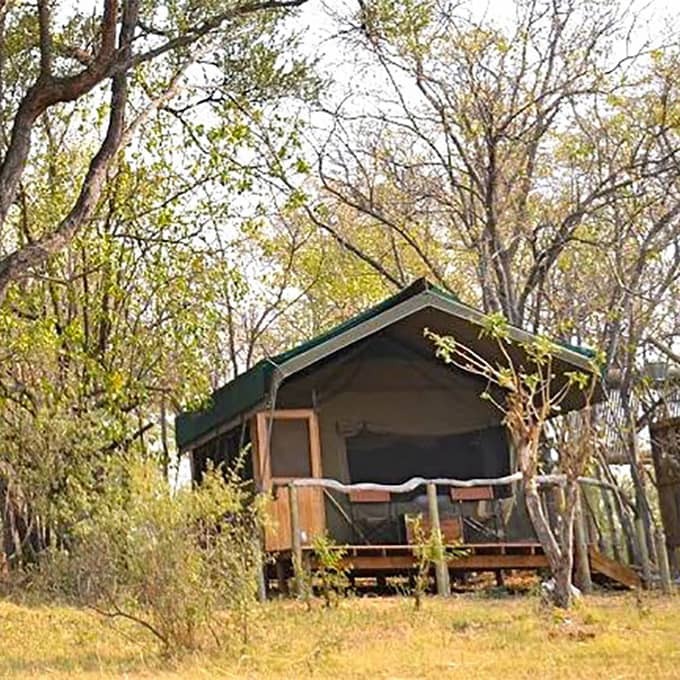 View this video of Camp Moremi to experience one of the lodges and wildlfe in the game reserve. It is truly the Land of Plenty. It is hard to drive for more than a few minutes without coming across zebra, giraffe, impala or other game. Quite a number of animals are passing through the camp – imagine you are in the swimming pool and a group of elephants is passing by only a few meters from you without any “protection” in between! We loved Moremi, mainly because it was the least developed and crowded of all the parks we visited. We hope you have found all information needed to decide that Moremi Game Reserve is the perfect place for your next travel adventure. Still have questions? Or maybe you would like some more specific information about one of the topics on this page? Please fill in the contact form and we will get back to you soon!